Oakleaf recognised as a London Stock Exchange Group '1000 Companies to Inspire Britain' 2018! We are delighted to announce that Oakleaf Partnership have been recognised for a second time in the London Stock Exchange ‘1000 Companies to Inspire Britain’ 2018. The accolade is a celebration of some of the fastest growing small and medium sized businesses in the UK and Europe. 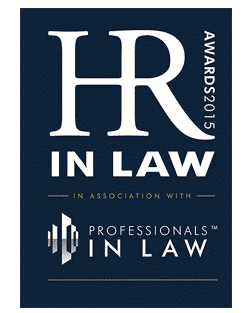 Oakleaf are one of only 33 recruitment agencies featured in the listings, and the only HR specialist firm recognised – a fantastic achievement! 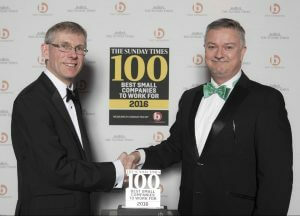 We are delighted to announce that, for the third year running, Oakleaf Partnership is a Sunday Times Best Small Company to Work for, coming in at 39th in the rankings. We also kept our three stars for employee engagement for the third year in a row, the highest possible award, which reflects our continued commitment to employee wellbeing and satisfaction. 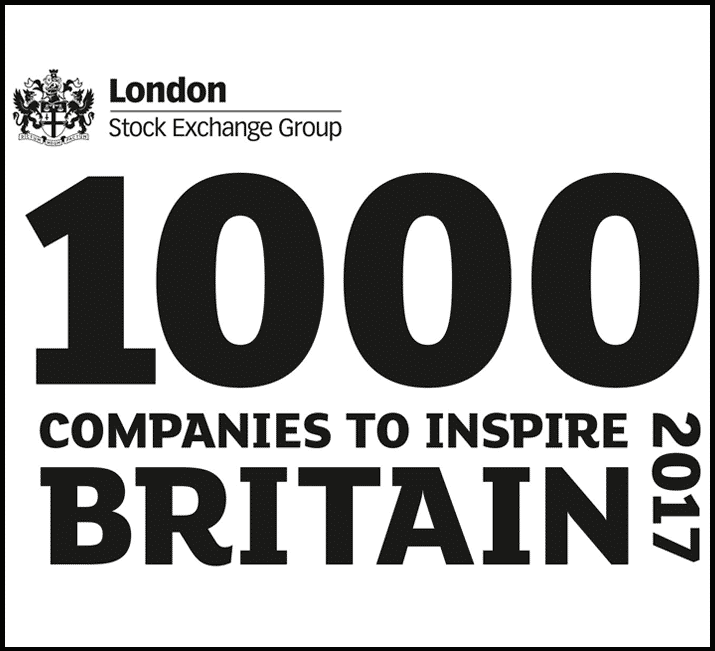 We are delighted to announce that Oakleaf Partnership have been recognised in the London Stock Exchange 1000 Companies to Inspire Britain 2017. 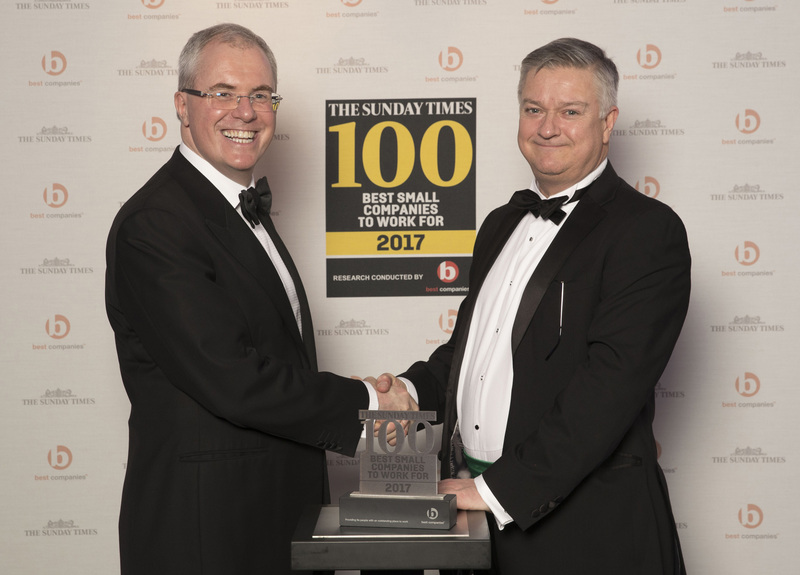 The accolade is a celebration of some of the fastest growing small and medium sized businesses in the UK and Europe. 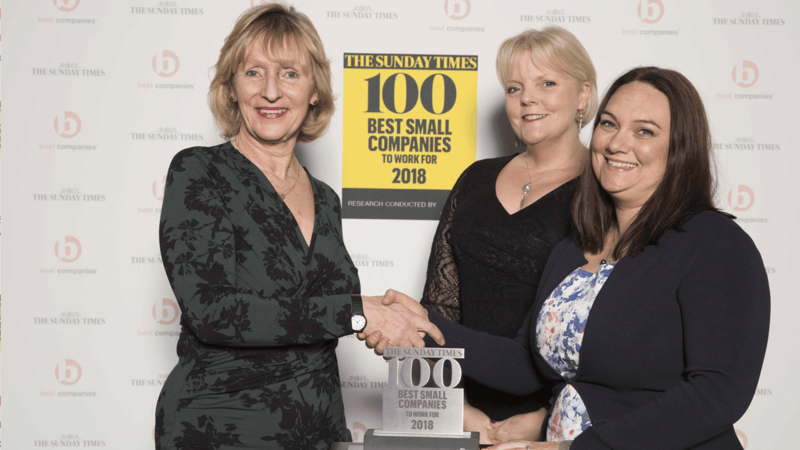 Oakleaf are one of only 11 recruitment agencies featured in the listings, and the only HR Specialist firm recognised – a fantastic achievement! 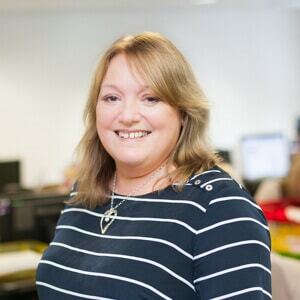 Congratulations to Jacquie on her promotion to Finance Director at Oakleaf. 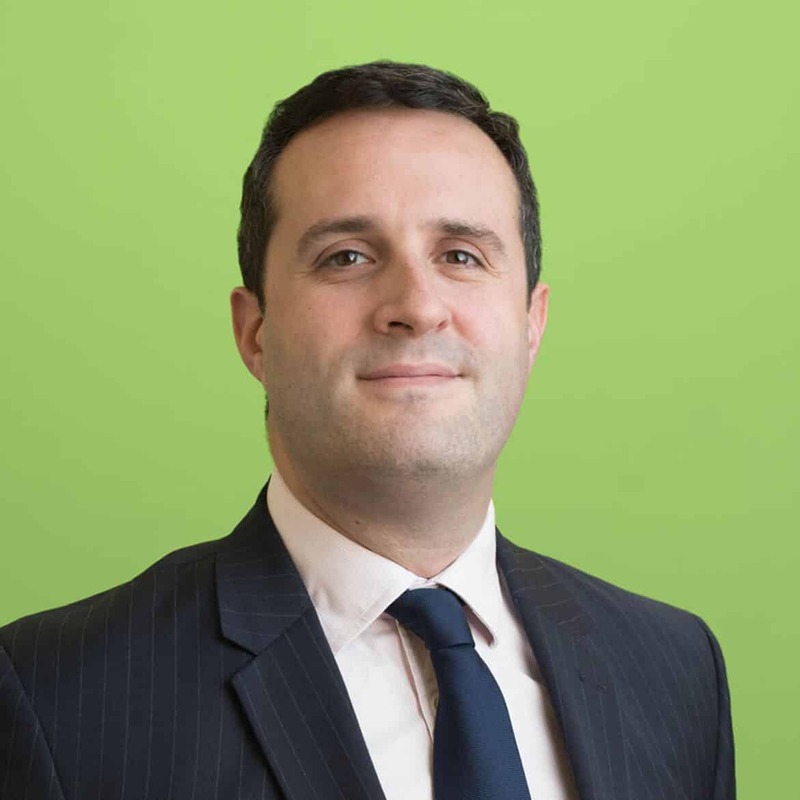 Congratulations to Gareth on his promotion to Associate Partner of the Financial & Professional Services division. 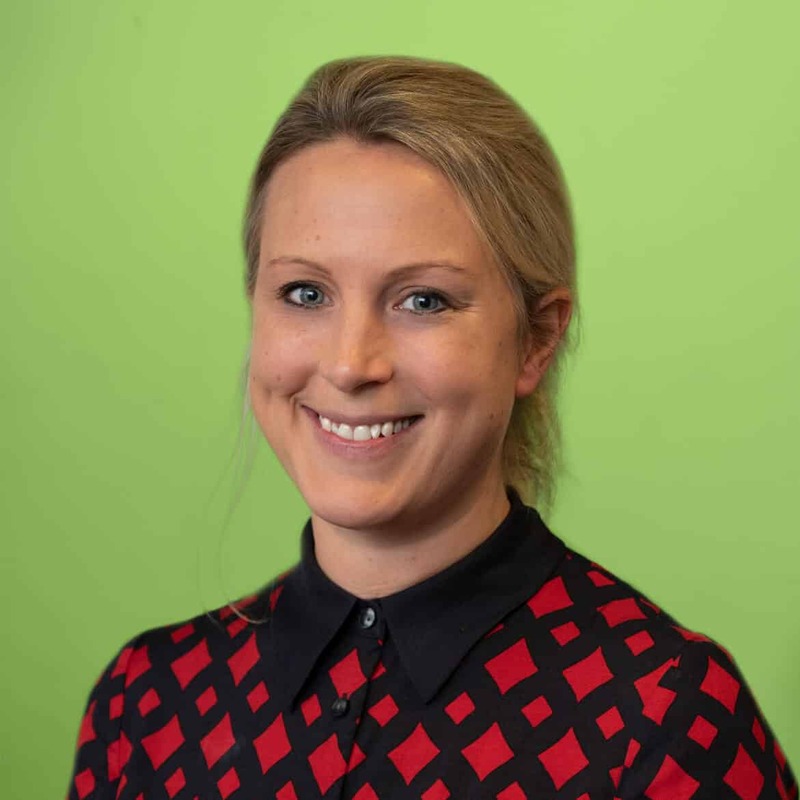 Congratulations to Amy Morris who has been promoted to Partner of our Interim Commerce & Industry team. 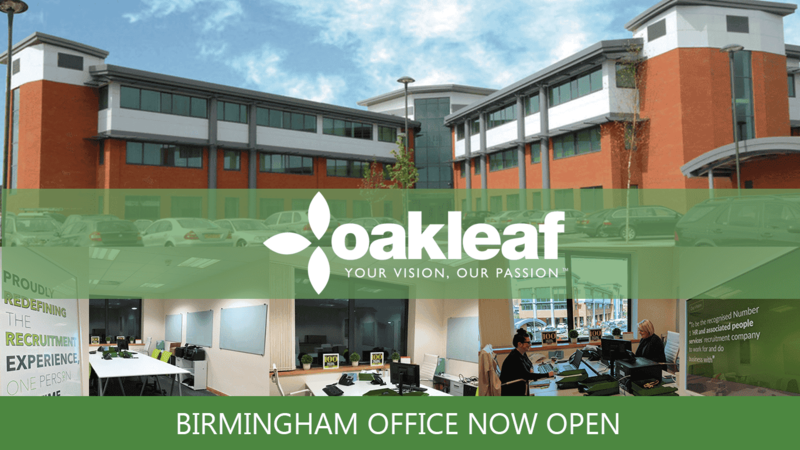 Oakleaf are delighted to announce the launch of our new office in the Midlands. The ongoing success of our Midlands region business over the last 12 months, under the excellent leadership of Sarah Westwood, has resulted in our decision to invest in physical premises in Longbridge. 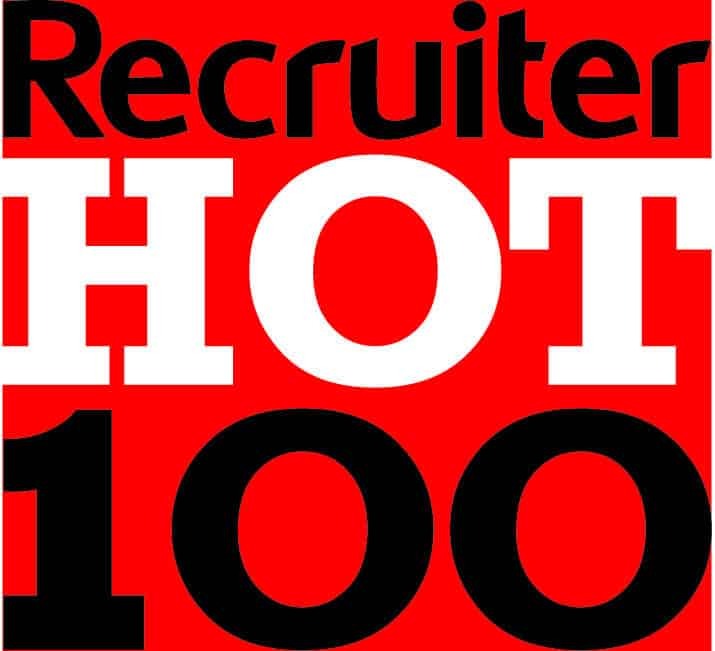 Oakleaf comes in at an incredible 55th in the Recruiter Hot 100 2016 award. 2016 marked the 10 year anniversary of the publication, and Oakleaf were the only specific HR recruitment company to make the list! The award examines gross profit per head and highlights an organisation’s effectiveness at extracting the best performance from its own people in a sustainable manner. 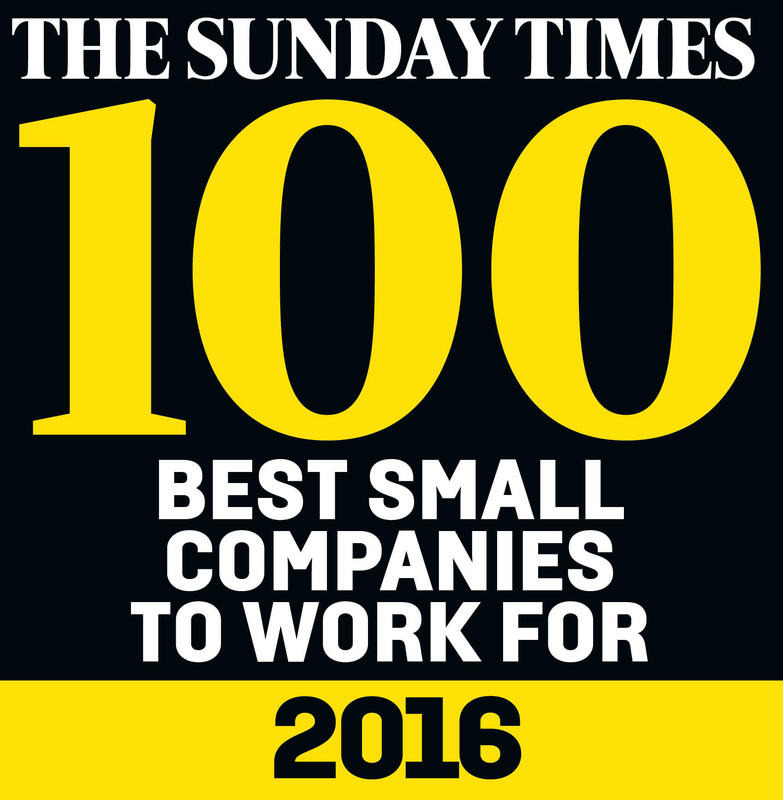 We are delighted to announce that Oakleaf has been recognised as a Sunday Times ‘Best Small Company to Work For’ for the second year running! We were awarded 3 stars for employee engagement (the highest accolade), and were awarded 20th place in the rankings – a great achievement! Oakleaf Partnership has moved up to 395, up from our previous year’s ranking. Our new ranking is a reflection of the ongoing success of our business, with a turnover in excess of £10 million last year. In terms of Net Fee Income per employee, we were ranked 41st, the highest of all independent HR recruitment firms in the UK. 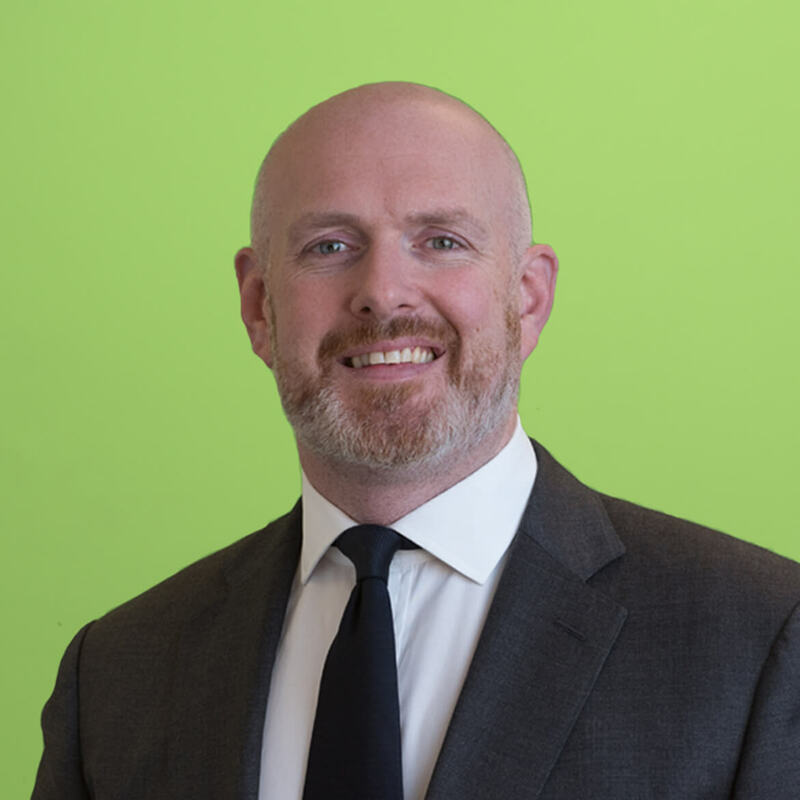 Following the continued growth of the Reward & Analytics division, Jamie Newton has been promoted to Associate Partner. Jamie and his team have continued to dominate the UK Reward market and have seen phenomenal success over the last four years. The team is continuing to expand whilst also actively contributing to the industry as a whole with regular publications and the establishment of well-known groups in Women in Reward and the Reward & Analytics Club. 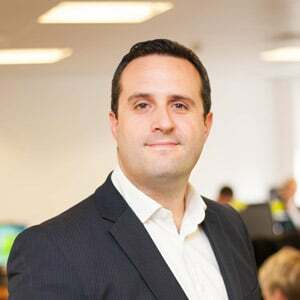 As Associate Partner Jamie has also taken ownership for the firms social medial strategy, expanding our market present from a marketing a PR perspective. The Best Companies Accreditation Standard follows the elite Michelin style star rating system for organisations that demonstrate high levels of employee engagement. Based on staff feedback, organisations receive a Best Companies Index score (BCI) which determines their star rating compared to a fixed standard – ‘one to watch’ is good, one star is very good, two stars are outstanding and three stars are extraordinary. 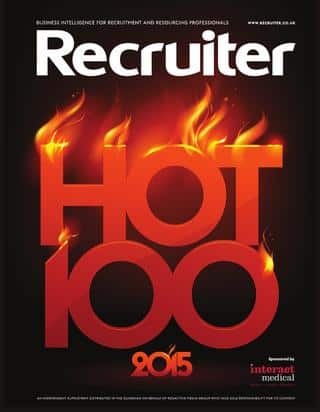 Oakleaf comes in at an incredible 51 of The Recruiter Hot 100 award. This award examines collective and individual positions of the most productive recruitment companies in the UK, particularly gross profit per head showing effectiveness at extracting the best performance from its own people in a sustainable manner. 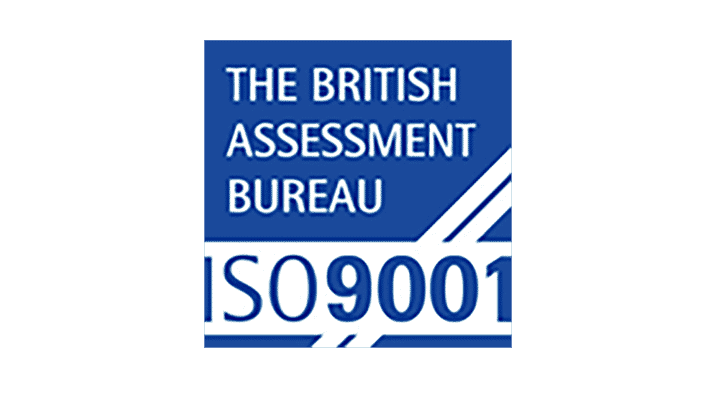 Oakleaf Partnership, the recruitment consultancy that specialises in HR, payroll, reward, pension and human capital services, has achieved the internationally recognised Quality Management System IS09001, establishing Oakleaf as one of the leaders in their field. 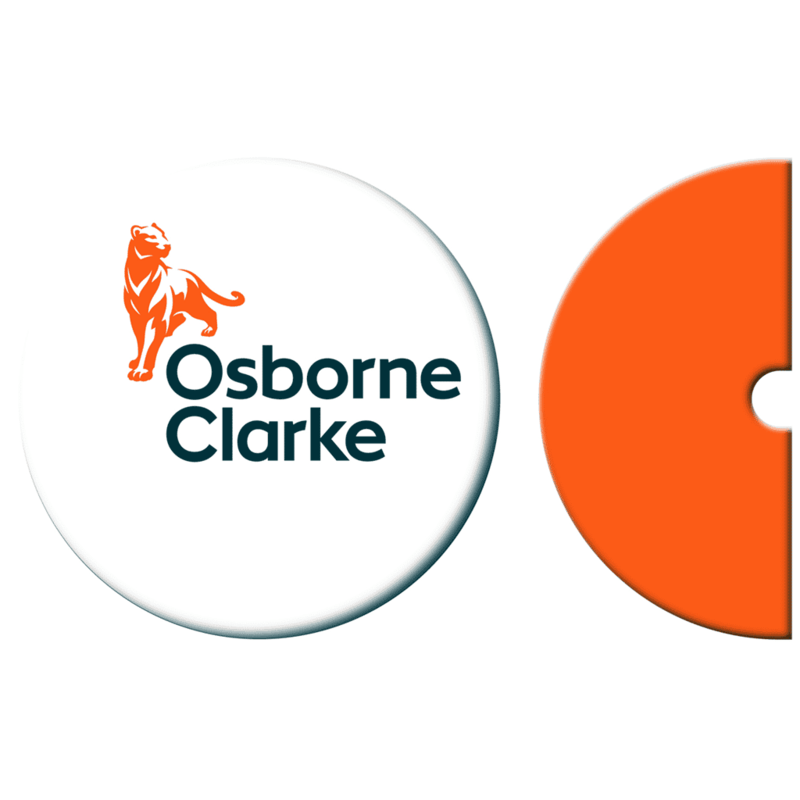 Oakleaf show their support to the legal sector sponsoring the Excellence in Talent Management award won by Osborne Clarke. Taylor Wessing were highly recommended. We begin supporting top entry-level talent in networking and career development. 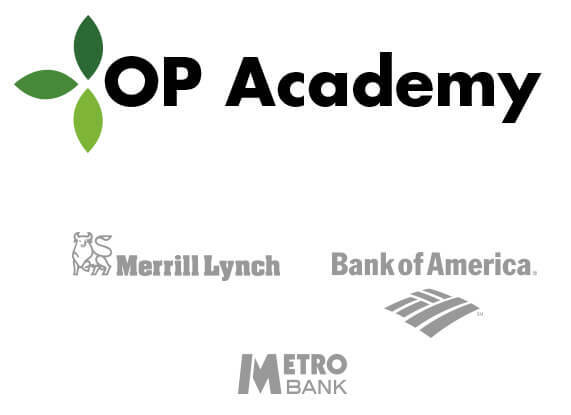 Our sponsors include Bank Of America Merrill Lynch and Metro Bank. We placed more than 500 HR professionals into contract and permanent jobs during the financial year, whilst our headcount reached 44, and our turnover £9.5 million. We also hosted an industry leading working breakfast around the topic of Part-time and Flexible working. It was sponsored by Linklaters and HRVille, and supported by Karen Mattison of Timewise MBE. 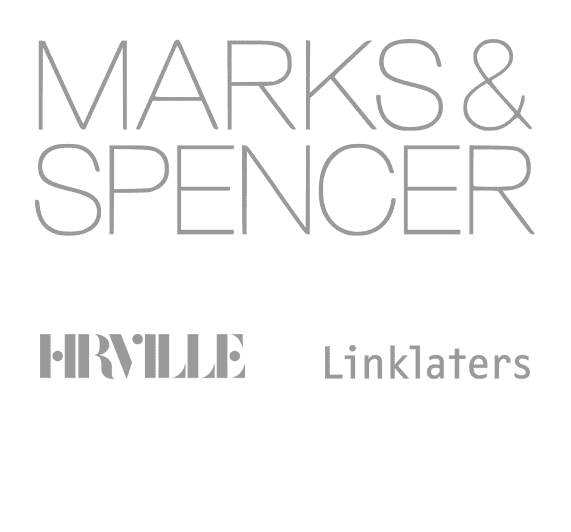 We presented a white paper forwarded by Tanith Dodge, HRD – Marks & Spencer. 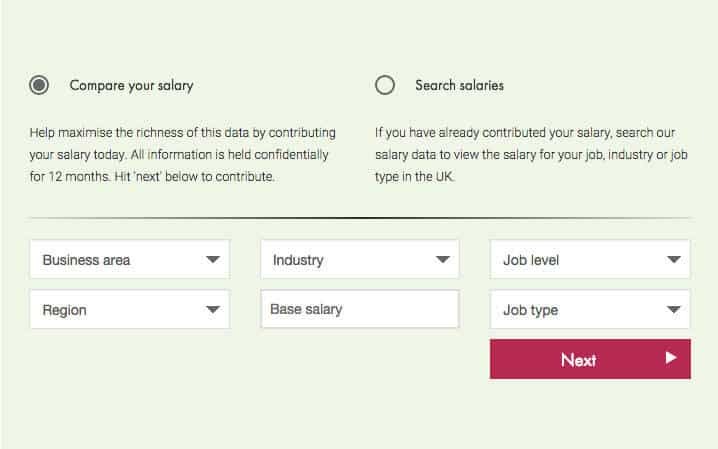 Launch of HR’s first UK-specific salary data portal. Oakleaf’s Charity of the Year, 2014, was Alzheimer’s Society. We raised £5,500. Following continued success in driving and building our financial services and professional services business Katrina Mallory is promoted to our first ever Associate Partner. Ending the financial year with 42 employees at Oakleaf, our turnover was up 57%, GP (NFI) was up 64% and PBT up 166% – the result of a lot of hard work by a bunch of very talented people. Women in Reward networking group set up by Jade Sweeney, one of our specialist reward consultants. 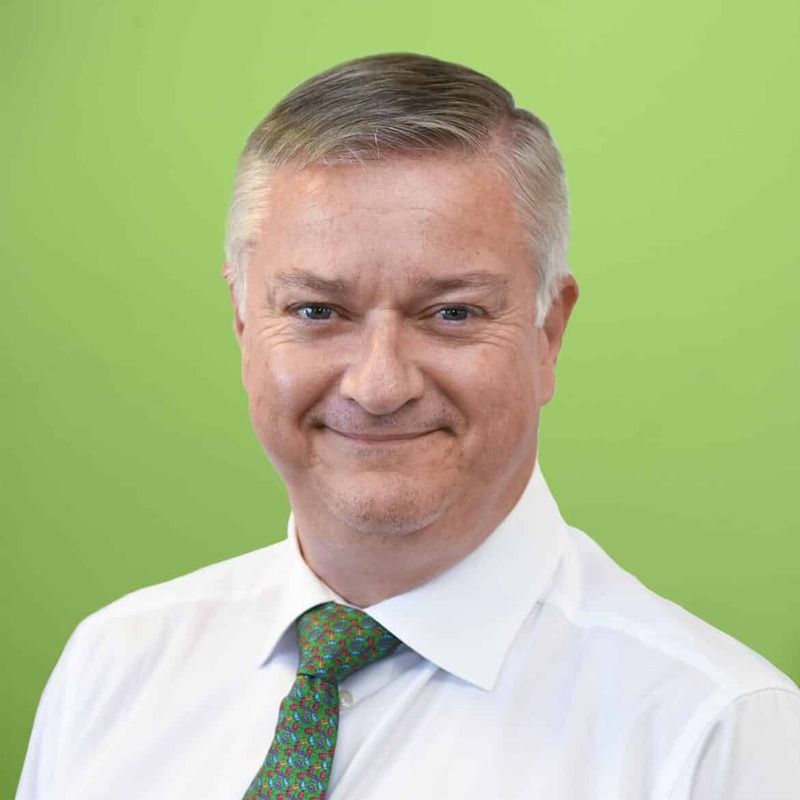 Having worked with a number of customers who have asked us to commit greater resource to supporting them with their payroll needs John O’Brien joins Oakleaf to set up and build a payroll team. We achieve a 45% conversion rate on all payroll roles. 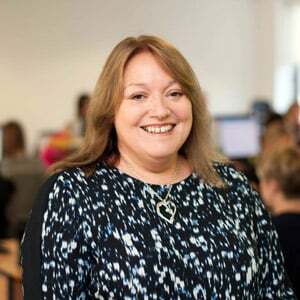 Jacquie Beck joined us in August as Head of Finance. 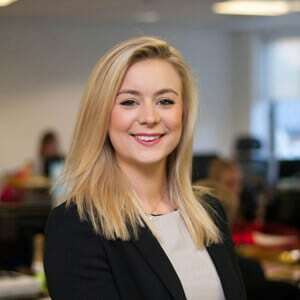 A qualified Chartered Accountant, she had previously worked for a number of years in the same capacity at Digby Morgan. 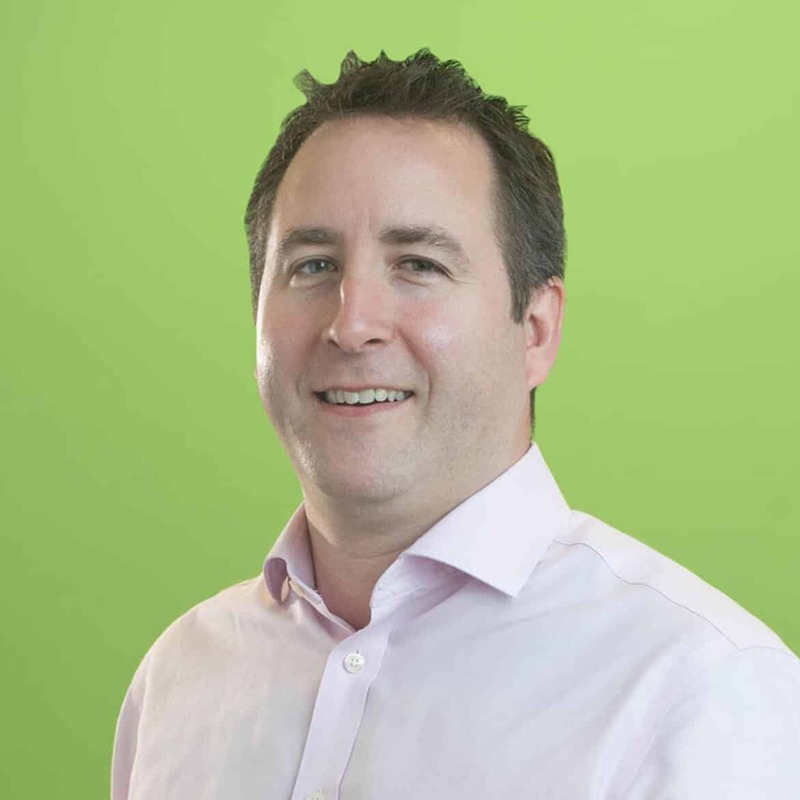 Jamie Newton joined us in October as Practice Lead of the Reward & Analytics business, a key growth area for us. 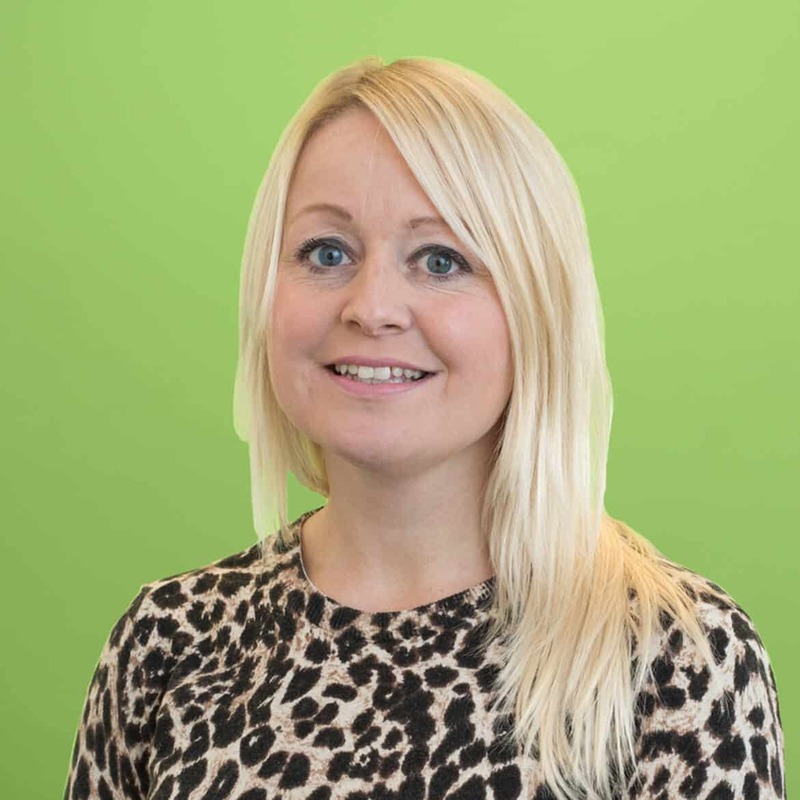 Jamie’s HR recruitment career spans more than ten years with names such as Advantage Resourcing, Piper Pritchard, MDH and Badenoch & Clark. Our inaugural ‘Ex-Forces in Human Resources’ event at the Help for Heroes offices was a great success. We raised over £1,000 on the night for our charity of the year. Winner of the Here Is The City “Best HR Recruitment Firm” Award. Oakleaf charity of the year, 2013, was Help for Heroes. We were joined by many old and new friends to celebrate our move to the new office. After eight years in Middlesex Street, we eventually out-grew the offices and moved to wonderful new premises in Holborn. It was a clear marker of our success – with plenty of room for further growth. Our PBT was £244k, with total employees at 27. Flanked by actor and comedian Hugh Dennis, Richard proudly awarded the prize to the winning company, Balfour Beatty Major Civil Engineering. This was the first ever award sponsored by Oakleaf and a significant show of support for the HR community. It was also indicative of the ongoing success of the Oakleaf business. The highest revenue quarter ever was achieved in October. This coincided with the appointment of Simon Hunt to the Board. Only seven years old, Oakleaf was now the largest independent HR recruitment business in the UK, with ambitious growth plans for the future. We created the “Partnership Promise”, a set of behaviors and guidelines that the team agreed they would all work by. This was combined with the Oakleaf definition of culture, via the “Culture Map”. We also formally launched the Placed Candidate Mentoring Scheme – a market first in HR recruitment. The first ever Oakleaf Facebook and Twitter pages were designed and launched. April saw the promotion of Marie Bliss to a newly created Managing Consultant position. This was a result of the ongoing success of the Financial Services interim/temporary businesses. As a result of the success of the research document we felt compelled to share our findings. This culminated in a breakfast seminar for a key selection of some of HR’s most senior representatives and media. The first quarterly OP Newsletter was published. It reached over 25,000 HR clients and candidates. Is HR guilty of not using all its strategic recruitment skills to attract staff to join its own sector? Our research investigated whether the recruitment of HR staff was indeed being neglected by HR departments, and if so, what were the reasons behind it and what could be done to change the situation? We launched the research in conjunction with one of the leading HR practitioners in the UK, Ralf Schneider, and with the sponsorship of The British Bankers’ Association. January saw the creation of the Oakleaf’s vision statement to support future growth. 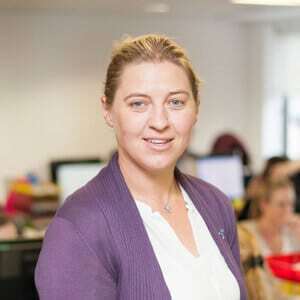 Nicola Grimshaw joined as a Board member to work alongside Richard Colgan and Brendan Forster, with Simon Hunt taking responsibility for day-to-day management of the teams. 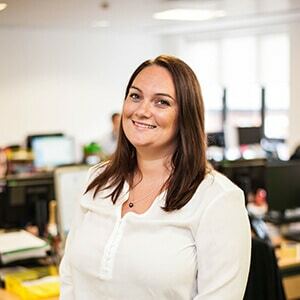 Nicola is a qualified Andersen accountant with 17 years’ recruitment experience and was previously on the Board of Digby Morgan. 2010 was a recovery year, seeing an increase on the previous years’ turnover of 30%, and the staff numbers increasing yet again to make the team 25 strong. 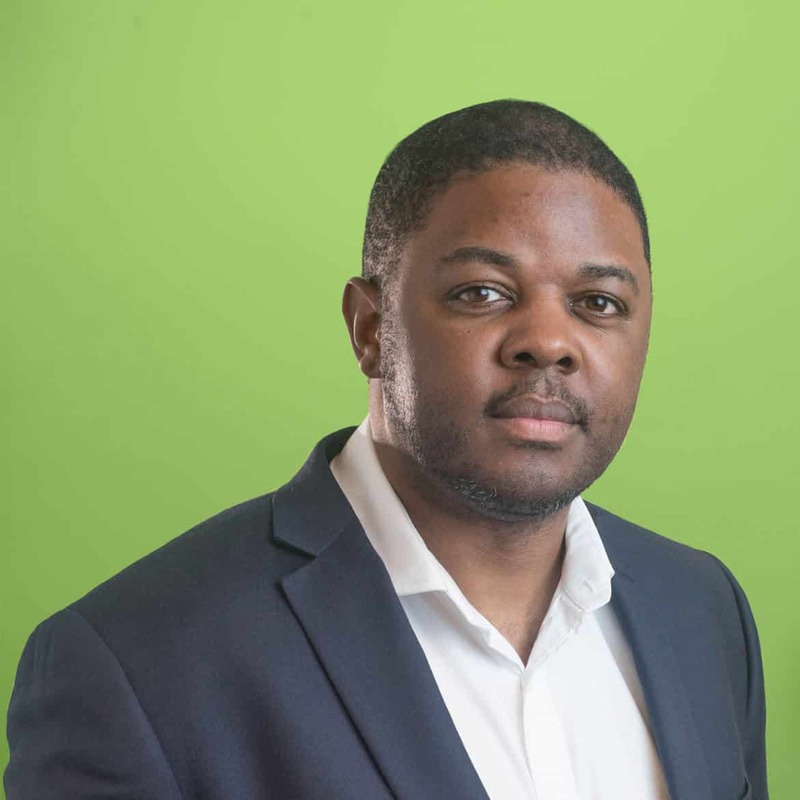 A dedicated in-house Head of IT & Comms, Leighton Grant, joined the team. During the financial turmoil of 2009, year-end revenue was down 32%. The firm ploughed on through the year and came out the other side fighting, still reporting respectable revenue of £1,852,000. By the end of the financial year 2008/2009, our headcount had grown to 20 members and the year-end revenue was up 17% on the previous annual figures. The company took on the 3rd floor of 131 and converted it into an interview suite and Boardroom. By the end of this year, it was clear that the financial markets had some hard times in store, and so we launched a dedicated Commerce & Industry business to offer our candidates a broader route to market. Regardless of the gathering storm clouds, the Board made the decision to re-brand with a clean, fresh logo – a true sign of our ambition. In 06/07 we had just 8 people. In 07/08 we had 17. Year-end revenue was up a huge 123%, with the highest individual revenue month of £160,000 in September for Richard Colgan. The year started with a concerted media advertising campaign, showcasing the variety of services the business could offer, as well as the vast experience and knowledge at its fingertips. 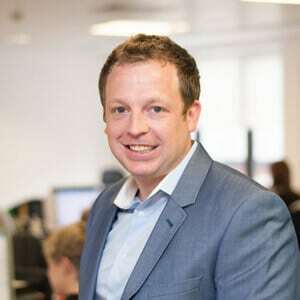 Simon Hunt joined the business from Frazer Jones in 2006. In its first full year of trading, the business turned over £620,022. Brendan Forster was named Executive Chairman in October 2005. As the business began to develop, so market share began to grow. Embracing our five core values from day one has always been vital to our philosophy at Oakleaf. 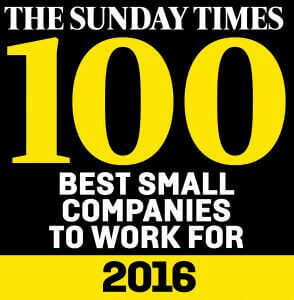 It’s allowed us to become the largest independent HR recruitment firm in the UK. 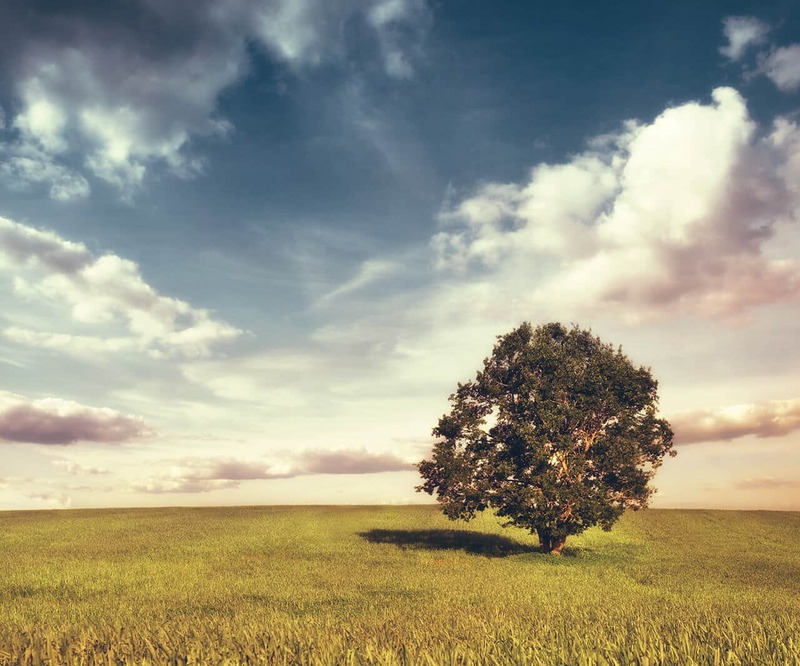 Oakleaf Partnership began life as a small entrepreneurial business with two MD’s Richard Colgan and Martyn Wright, and their PA at the time, Harriet Lavender. 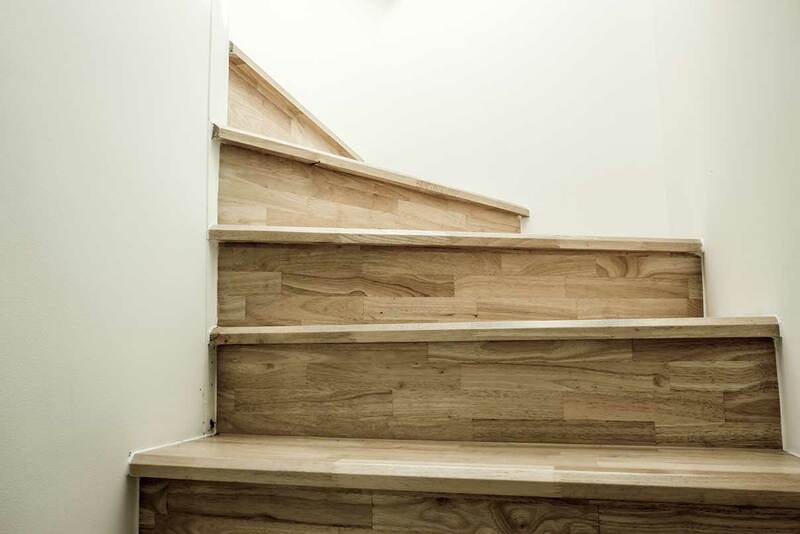 It was the brainchild of Richard Colgan, the Founder and Managing Partner. 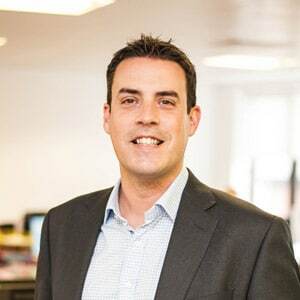 Having worked for Michael Page for 9 years, and co-founded their HR recruitment business in 2000, he decided to leave to create a business that not only reflected the customers he served, but also embodied his own values. 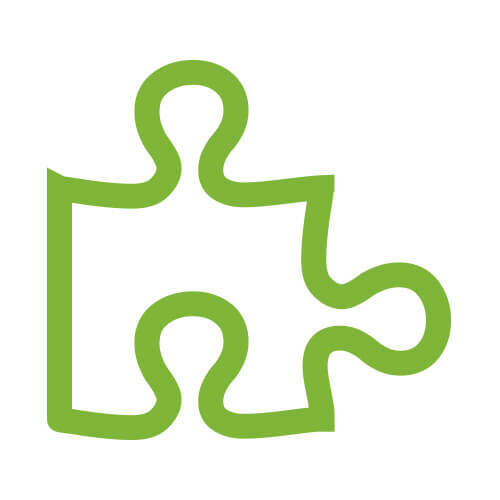 Our expertise spans every kind of HR and associated people services jobs. Generalist or specialist, entry-level or executive: we’ll help you find the right job, no matter what the sector.